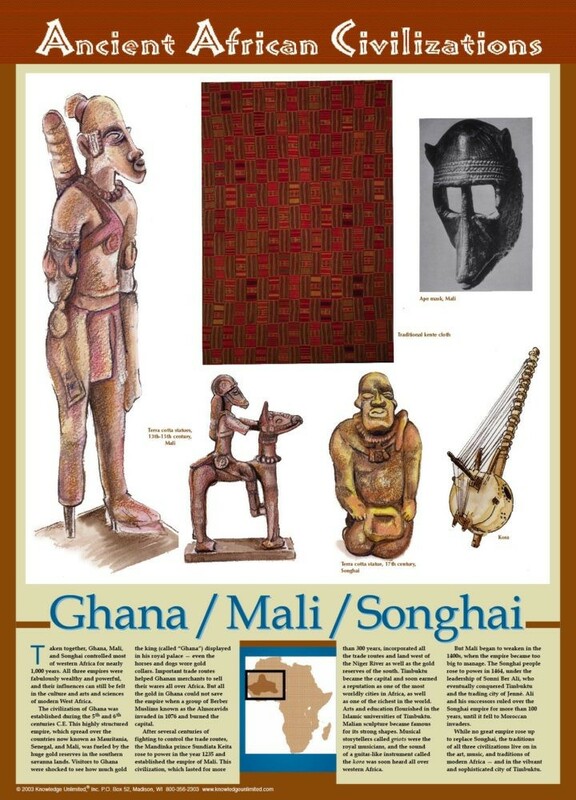 This unique educational poster features several illustrations depicting art and artifacts of the ancient civilizations of Ghana, Mali, and Songhai, along with a clearly explained description of that civilization, and a small map showing their location in Africa. Taken together, Ghana, Mali, and Songhai controlled most of western Africa for 1,000 years. All three empires were very wealthy and powerful, and their influences can still be felt today. 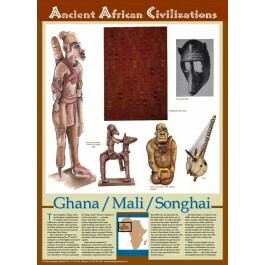 This poster is a great way to introduce students to the history and legacies of these important ancient civilizations.